« A load of bull ….. Yesterday I was reminded of this remarkable story …..
On a cold January morning in 2007, at a Washington DC underground station, this man with a violin played six Bach pieces for about 45 minutes. 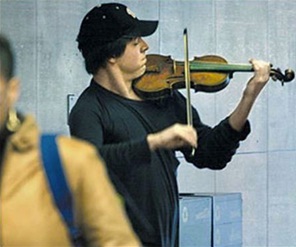 Joshua Bell, playing incognito in the D.C. underground station, was organized by the Washington Post as part of a social experiment about perception, taste and people’s priorities. Whilst the phrase Carpe Diem is a useful reminder to live each day fully, it’s not very practical since you can’t actually seize the day. Life is a series of moments, and it’s the quality of each moment which determines the quality of our lives. 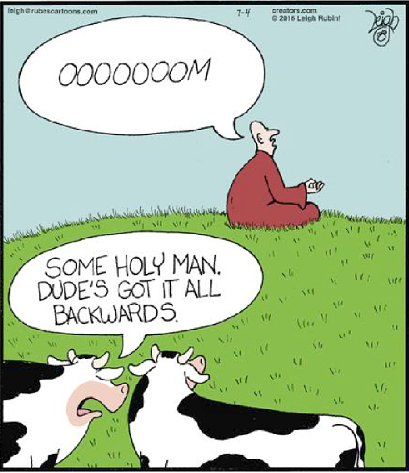 Enjoy life now….. it has an expiry date. Cataracts are the third biggest cause of blindness. Religion and politics are the first two. The divorce of the two clowns led to a custardy battle. This entry was posted by admin on July 10, 2016 at 8:27 am, and is filled under Sunil Bali, The Art of Awesome Living, The Book of Awesome Humour. Follow any responses to this post through RSS 2.0. Both comments and pings are currently closed.